First and out with 29 dwarves!! 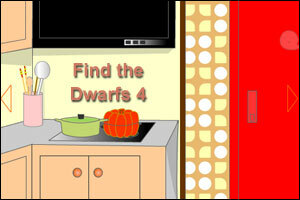 How many dwarfs are there? I have the key and 34 dwarfs, I can go out, but still search for more dwarfs. Somebody knows how many there has to be? what are the little ghosts for? You can find the key behind the fridge by moving the mice to eat the donut. Then use it on the door to get out but not until you have all the dwarfs. just what are the little ghosts for? anyone know? I already have the ones mentioned here but I only have 36 and the key. Help please. on the “light” button. Not sure if it was there all the time or only after I clicked, but it’s hard to see and it has to be lit. 37 here too, what am i missing? besides 3 more…? Edit: Walkthough – Complete list with 40 dwarfs! *Edit: In the top part of fridge, click the top edge of the box below the beer bottles to get a view of the eggs. Lift the bottom right EGG and get the elusive little fella hanging from the bottom. In the top part of fridge, click the top edge of the box below the beer bottles to get a view of the eggs. Lift the bottom right edge and get the elusive little fella hanging from the bottom. it’s not under the bottom right EDGE, it’s under the bottom right EGG. I clicked like crazy thinking I’d find one under the box! I had 35, and the key. Thnx All. meowwoof, sorry ’bout the typo. And Eric, thanks for the edit! sorry, I’m not English. so what’s an apron? Anyway, it’s that red thing that’s hanging near the picture. Oops, I left an “n” out of your name. Sorry ’bout that. Posted on Saturday, March 14th, 2009. Follow any responses through the RSS 2.0 feed.